REASON – they work better. Last year I was forcibly reminded of the benefits of making fresh plant preparations. I was treating a patient with acute bronchitis resistant to all my medicines. 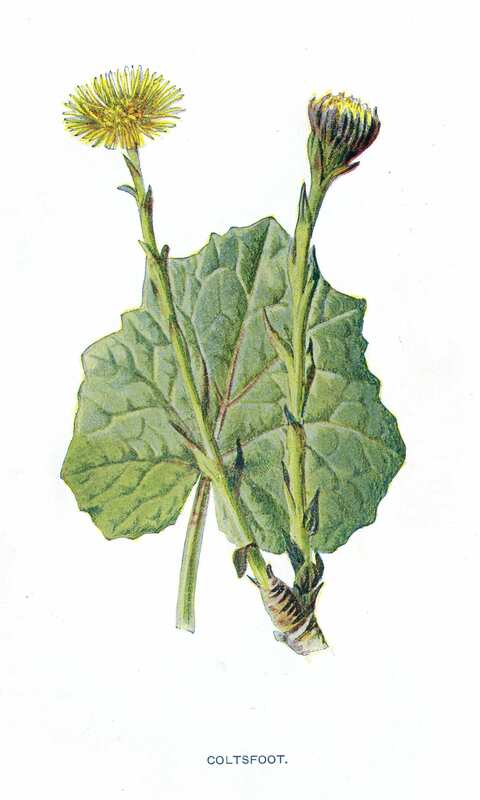 My bronchitis medicines are based on Coltsfoot syrup (Tussilago farfara) and I hadn’t picked any Coltsfoot for a couple of years. I bought good quality dried leaves and made the syrup, with no result. Non reminded me that we always used to use fresh leaves. So I went looking for the fresh plant. 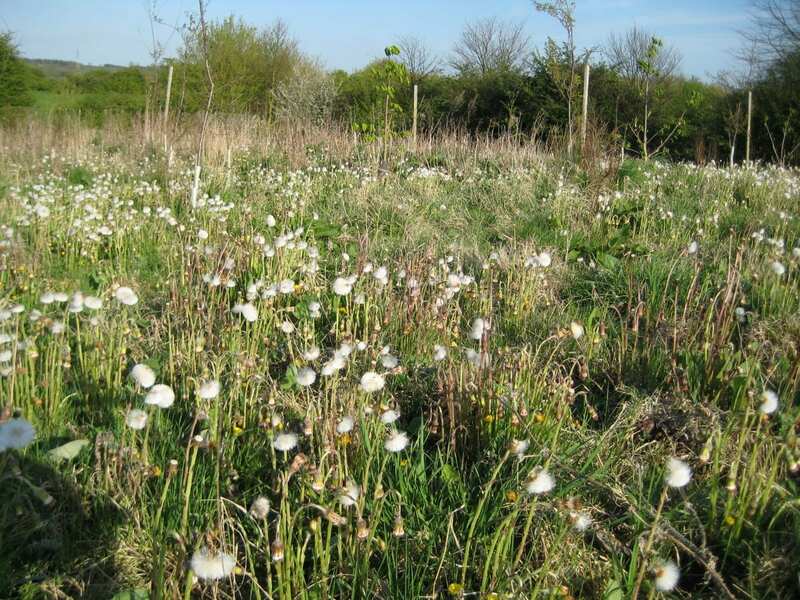 Coltsfoot likes heavy soil and is happy in London clay, where the top soil has been removed. I used to pick it along the Regent’s canal but the park authorities planted native vegetation over my favourite patch (some irony there!). I went for a long walk looking in likely places and found enough to make a couple of litres of syrup. The colour was better, the scent was stronger and the medicine worked! I have always been drawn to fresh plant preparations. It seems to me the best way to capture the innate vitality of the herb – and vitalistic medicine is what I was taught to practice. Simple organoleptic testing (tasting, smelling, feeling) quickly and easily tells us that fresh plant extracts contain a wider range of constituents than do dried extracts and it has seemed to me, over years of such testing, that those constituents are presented in a more accessible form. I had no way of proving this, except by observation in practice, but now Paul Chenery has demonstrated that this is indeed the case and provided the beginnings of a biophysical basis for explaining vitality in herbal extracts – check out, ‘are fresh extracts really better?’, on the Rutland website and follow the link to Paul’s research paper. By far the best way to take herbs is to simply pop out into your garden and nibble them. They taste so much better than any preparation, just as home grown vegetables taste better. Freshness is the key. This method is not always practical and the nearest equivalent is a fresh plant extract made within minutes of picking. Bitter herbs such as Vervain (Verbena officinalis) are much more palatable either eaten fresh or made up into a fresh plant extract presumably because of the wider range of constituents extracted. Delicate tasting herbs such as Lemon Balm (Melissa officinalis) taste better presumably because the method captures elusive constituents, such as the volatile oil. Herbs used in making fresh plant preparations must be grown by the medicine maker, or at least in a place close by. This means that they must care for the land. This is especially the case with biodynamic growers since care for the land is their key element. I like to see where my herbs are grown, so I can see that care for myself. Respect for and care of the earth we live on, that the plants grow on and in, is crucial to making strong, vital medicines. Herbs and medicines made from them carry the feelings of the place they are grown in and of the people who pick and process them. Terry Pratchet puts it well, “she told the land how to be and the land told her who she was”. Dried plant tinctures will usually do the basic job of relieving symptoms BUT they miss that extra edge provided by fresh plant tinctures. People ask herbalists for help for many reasons but often they are trying to reach healing at a deeper level than can be reached by using the herbs in a symptomatic (or reductionist) way. People, of course, heal themselves but herbs can guide them. Fresh plant preparations carry the wisdom and knowledge of the whole plant and make for better guides, reaching places that surprises the herbalist and their patient. It is my observation that fresh plant preparations keep their edge for longer. Greater Celandine (Chelidonium majus) doesn’t keep well as a dry plant tincture. Rudolph Weiss says that it looses its efficacy after 6 months. I am inclined to agree with him and prefer even fresh plant tinctures less than 6 months old. Fortunately Greater Celandine gives us two harvests a year and I take that as my clue, but I make a fresh plant glycerite every year which keeps very well, at least for topical use. There is very little research on the keeping power of tinctures. One plant that has been researched is Skullcap (Scutellaria spp.) The flavonoids have been shown to be quite unstable in alcohol but I do get good results with fresh plant Skullcap tincture, especially in treating anxiety in psychotic people. Dried plant tinctures don’t even come close. Is this because the flavonoids are more stable in the fresh plant preparation? Perhaps Paul would like to do his next piece of research on this subject. Most years, but not for the last couple of years, I make a layered syrup of Coltsfoot flowers and sugar. This year I resolved not to miss the Coltsfoot flowers and went visiting all my likely patches but no flowers and not a sign of those beautiful new leaves covered with delicate webbing. A friend from west London had the same problem – with a large patch that had always been reliable. Did this happen to anyone else? I know that each year is different and, indeed, of late I find myself saying, ‘its a funny year this year’, every year and trying to explain what exactly is going on. Is this global warming or simply growing old? I am not convinced about the toxicity of Coltsfoot but I keep up with the discussion and research. That is all a herbalist can do, collect all the evidence and weigh it up for themselves. The most useful article I have found so far is, Subhuti Dharmananda. “Safety issues affecting herbs: pyrrolizidine alkaloids”. Institute for Traditional Medicine, Portland, Oregon. www.itmonline.org/arts/pas.htm . There is also a nice discussion putting Comfrey toxicity into perspective by Dorena Rode of the University of California in, ‘Trends in Pharmacological Sciences 2002, 23:497-499’. In the end toxicity is a matter of dosage and the experience of herbalists should be part of the evidence used in discussions of dosage. Well, it is a funny year this year! Spring was so early and many plants ran into each other, which always causes something of a panic. I don’t pick, or prepare, very much but I do like to pick and prepare some medicines of my own- in order to keep in touch with the seasons and with the plants. The Solomon’s Seal (Polygonatum spp.) in the garden is reaching its full glory. In a few weeks the rhizomes can be dug and divided, leaving some to make a batch of fresh plant tincture. This is invaluable for tendonitis, and I also add it to prescriptions for osteoporosis and broken bones – along with Comfrey leaf and Horsetail (Equisetum spp.). It has a great reputation for facilitating healing in these circumstances. Growing next to the Solomon’s seal is its close relative Lily of the Valley (Convallaria majalis), which is rather taking over that part of the garden, after being more or less static for some years. I don’t usually make tincture of the leaves, since it is more accurate to make a dried plant tincture and my garden is so small that fresh plant tinctures are the best use of its limited resources (another reason for making fresh plant preparations). I do however make every year some Lily of the Valley fresh flower tincture. This contains very little of the cardiac-glycosides and, rather unfortunately, keeps little of their delicious perfume but it is a superb remedy for anxieties around heart problems. This idea came from Nicholas Culpeper who has Lily of the Valley as a remedy for disturbance of the vital spirit (confusion, poor memory and fear) and remarks that the flowers are especially comforting to the heart and vital spirit. I will be talking more on Lily of the Valley and other heart remedies at the West of Scotland Herbal Group gathering in August; get in touch at westofscotlandherbalgroup@gmail.com . Layered syrups can be made with any fairly damp herb, including most flowers and fruit. Diane who works in the Westminster dispensary makes a delicious Rose hip syrup this way. Simply chop the fresh herb roughly and layer in a glass jar with granulated sugar (brown, organic, fair traded of course). The layers should be about 2cm thick and start and end with sugar. Leave until most of the sugar has been dissolved, usually only a few days, strain off, bottle and label. I have yet to try Gerard’s gout medicine, which he advises is made by filling a glass vessel with the flowers of Lily of the Valley, sealing it and putting it in an ant hill for a few weeks – always new and exciting things to try in herbal medicine! PS re nibbling fresh herbs – try nibbling straight from the plant i.e. without using your hands. Hawthorn buds are a good place to start – you don’t have to bend down. Hold your hands behind your back and just nibble, enjoy the experience and the extra levels of taste. PPS Did you catch the Royal Wedding and those trees! Trees in the Abbey, what a wonderful idea. This must be a good omen – young people honouring the plants in an ancient place of worship. The trees, by the way, were English Maple and Hornbeam.